Welcome To Casa de Balboa, Your Premier Newport Beach Vacation Rentals! 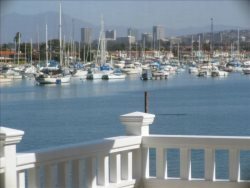 Newport Beach is a wonderful destination to relax, unwind and enjoy yourself. Wether you have come here for vacation or business you are sure to enjoy our incredible activities and culinary marvels. For your convenience we have created a comprehensive list of activities and restaurants in Newport Beach which can be found in the Local Area Guide. If you have any questions or need further assistance our staff would be more than happy to help.